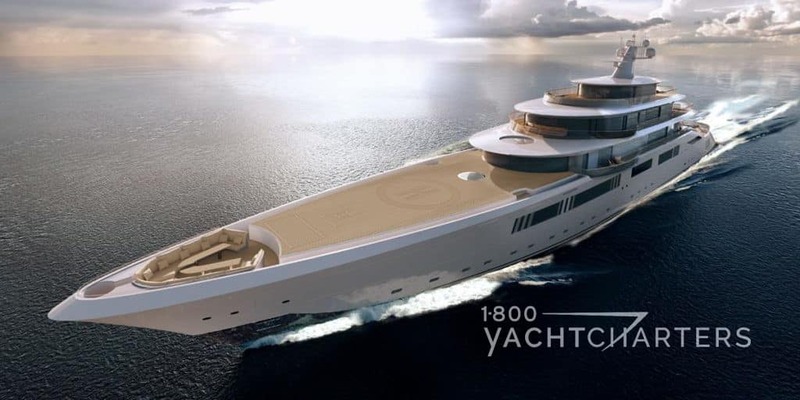 Innovative design, new technologies and more-than-generous space define motor yacht TOMORROW, Pride Mega Yacht latest masterpiece. Developed to accommodate both family life and corporate entertaining, the massive superyacht is the collaboration of Pride Mega Yachts, of Yantai, China, with exterior and interior by Dutch designer Sinot. 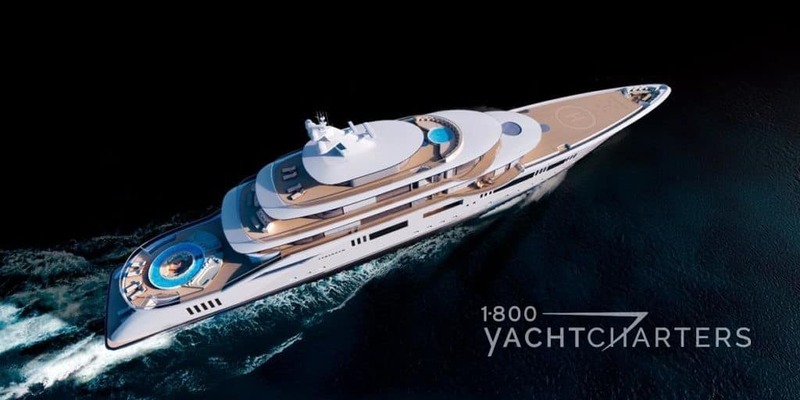 With an impressive interior volume of 4800 gross tons, Pride super yacht TOMORROW provides an incomparable spatial experience over a length of 108.8 meters and a beam of 16.3 meters. 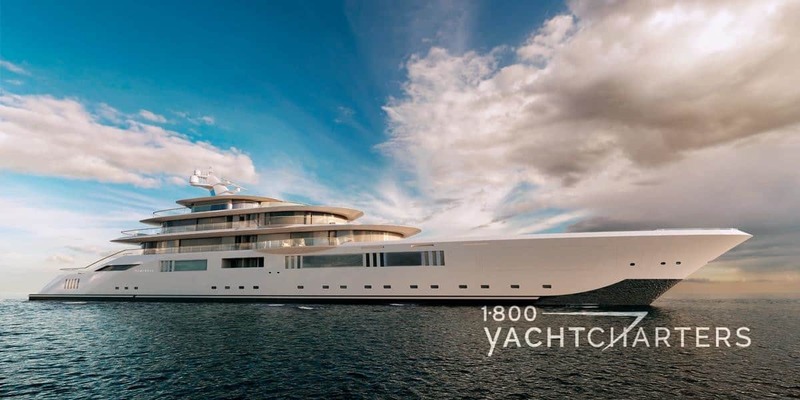 The builder and designer of superyacht TOMORROW have created an elegant, sophisticated six-deck floating resort with streamlined exteriors and curved deck spaces. 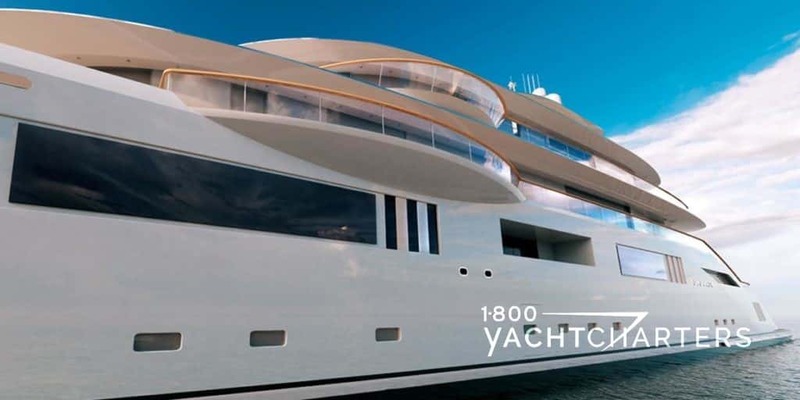 Sinot’s contemporary architectural design truly emphasizes the yacht’s amazing interior volume and the innovative use of space. There’s a fluidity of motion created by sliding curved ceiling-to-floor glass doors that connect interior and exterior areas. 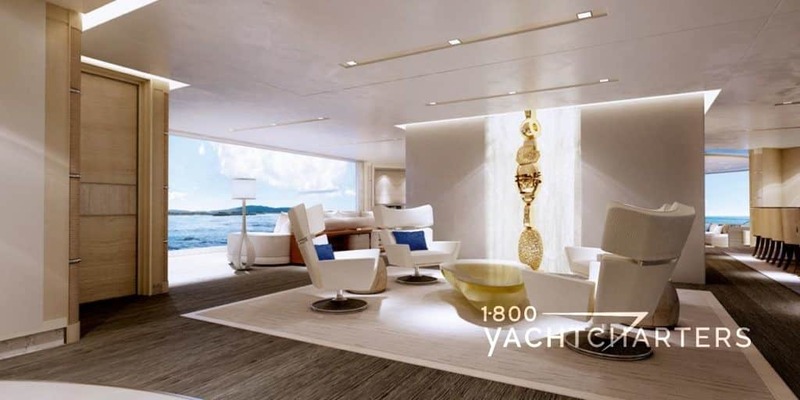 No matter how many guests are onboard for a corporate event, such as a Cannes Film Festival yacht charter, all guests can move effortlessly from inside to outside social gathering areas. 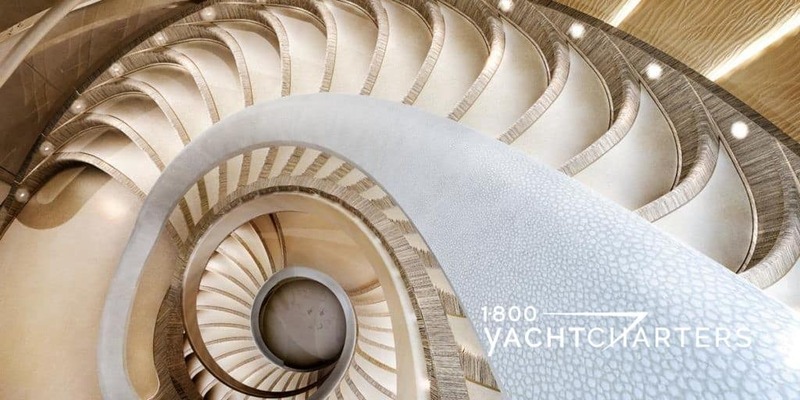 There’s also a unique shell-inspired staircase that elegantly links all decks. 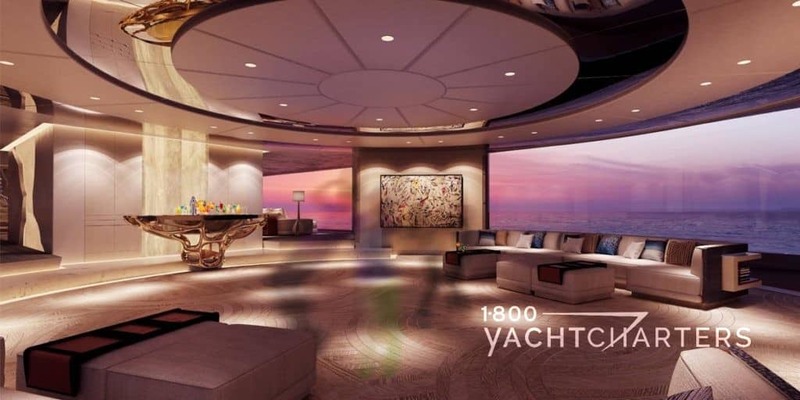 Her interior design reflects a theme of international luxury beach living. The atmosphere is one of warmth and openness, defined by rich materials, intricate fabric and carpet patterns, all complemented by natural textures. 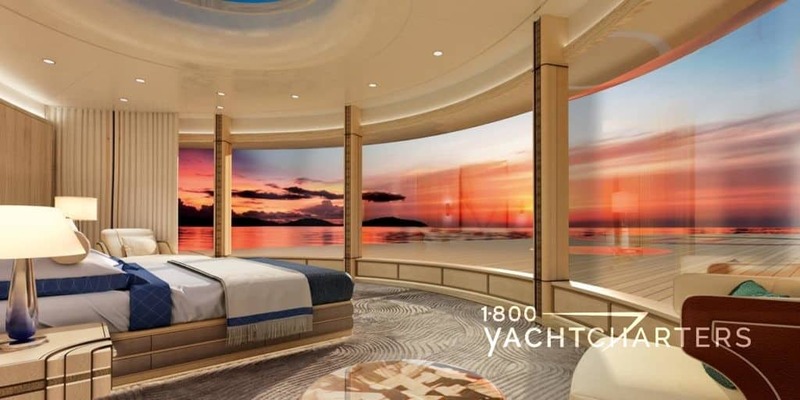 There are accommodations for up to 26 guests (non-charter use) in numerous, spacious staterooms. 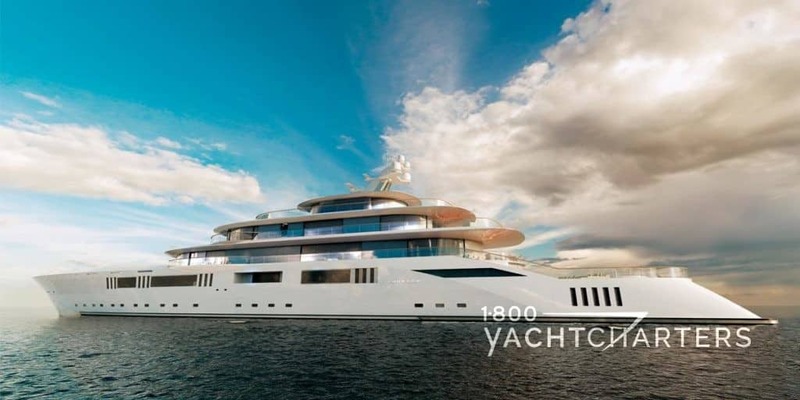 For private luxury yacht charter vacations, overnight accommodations will be limited to 12 guests (and a few personal support assistants such as nannies, and security agents). The beachfront theme really shines through on the exterior areas. 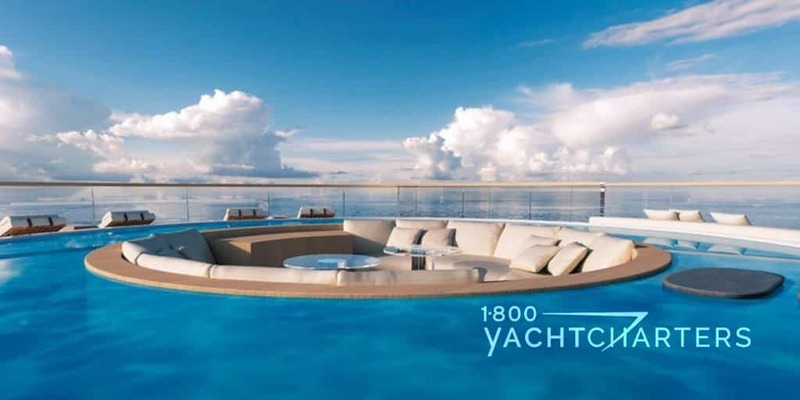 One of her most unique features is a striking circular pool, aft on the main deck, with a recessed lounge seating area. 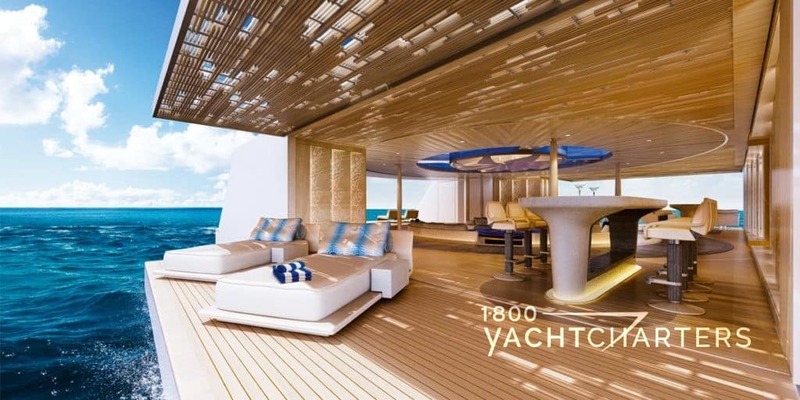 A second, smaller pool is located on the sun deck, along with sunbeds, Jacuzzi spa tub, and al fresco dining areas. 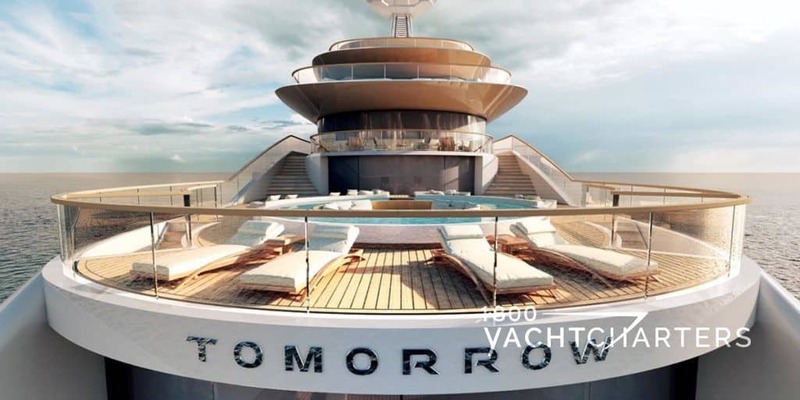 Adding to the leitmotif is the spacious swim platform, connected to an indoor beach club relaxation area, with built-in bar and furniture. 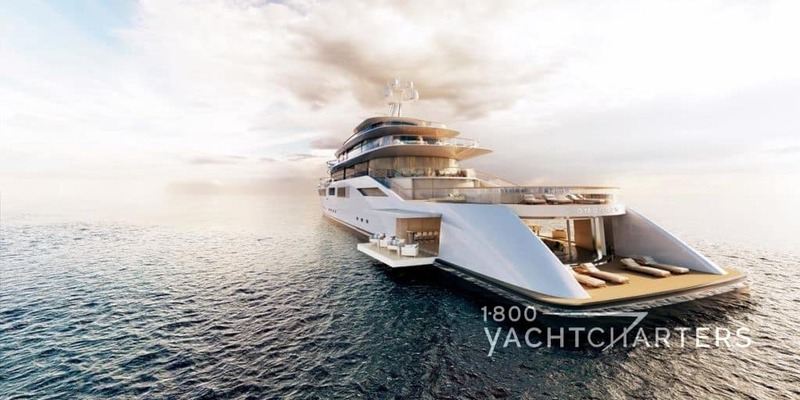 Guests will appreciate the yacht’s state-of-the-art Rolls Royce stabilizing system, which reduces rolling motion and ensure maximum comfort when cruising.